The all new Moto G6 Plus is now all set to get launch in India today. This new smartphone is said to be the mid-range smartphone which comes to the Indian market after five months after its global launch in Brazil. Earlier this month, the company has released a few teasers. 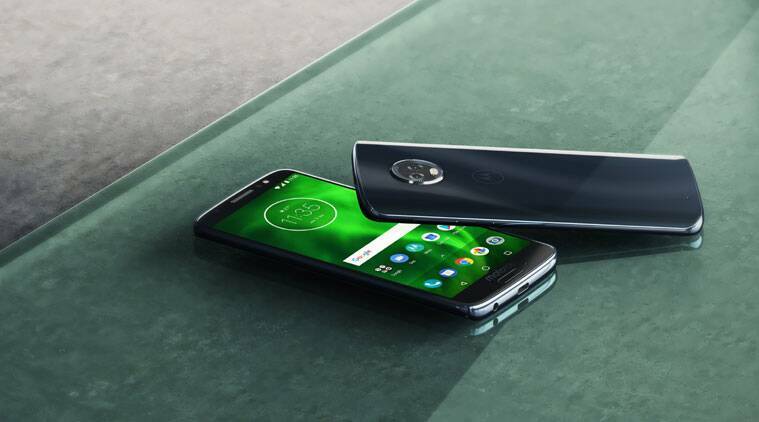 The company announced this new Moto G6 Plus along with the Moto G6 and Moto G6 Play. The two smartphones have already got launched in India in June. The new Moto G6 Plus will be coming with a large display, the better processor as well as more RAM. This phone will also get a dual rear camera setup with low light photography mode. The price of the Moto G6 Plus is not yet officially announced by the company. But when it was launched in Brazil the phone cost around Rs 24,500. The phone had only two color variations that are Indigo and Gold. When the other two models are compared with this model, then the price of the Moto G6 is Rs 13,999 which is for 3GB RAM + 32 GB storage while Rs 15,999 for 4GB RAM + 32 GB storage. The Moto G6 Play is available at a price tag of Rs 11,999. The Moto G6 Plus has got a uni-body design that comes with a good blend of high-grade metal along with the 3D glass on the top of the shell. It is also tough as well as scratch resistant. When it comes to the size of the screen, the screen will have a 5.9 inch Full HD+ IPS screen which will be coming with a Corning Gorilla Glass that helps the phone from getting cracked due to drops. The screen has got an aspect ratio of about 18:9. When any user is using this phone at night, then the user can opt for night mode which helps in optimizing the brightness automatically so that they will not strain the eyes of the users. This is one of the first OEMs which offers a pure Android OS, and this too can be enjoyed in the Moto G6 Plus. When it comes to the camera department, the phone will have a dual rear setup with 12 MP primary and 5 MP secondary sensor. It comes with an 8MP camera for the selfie. It will have a 3,200mAh battery capacity. Octa-core Snapdragon 630 SoC will power it.